Author Emilia DeliziaPosted on 6 July, 2013 Categories BresciaTags brescia wine tour, is brescia worth visiting, lake iseo wine tours, what to do in Brescia, wine tours northern ItalyLeave a comment on Brescia – Italy’s secret lake and wine destination. The Franciacorta area is a moraine located in the south-east of Lake lseo, bordered by the Montorfano area and the rivers of Oglio and Mella. The nearby town of Brescia was the playground of the aristocratic and the rich during the seventeenth and the eighteenth century. I was the equivalent of the Brianza . It was the noble Milanese garden of delights, where the rich build villas and devote themselves to agriculture. Lake Iseo a stunning location between Bergamo and Brescia – Image source. The name of the district, Franciacorta, has nothing to do with France but refers to the ancient wording from the Latin FRANCAE CURTIS. The monks and priests were granted the courts of this land to be farmed. They were free all taxes and excises. The privilege of privileges, it what we say today given the exceptional vocation of wine making of this region. The climate is mild and windy optimal for the vines. Today’s wine makers achieved one of the most interesting Italian wine projects of recent decades: to produce a wine that can arise in the collective imagination as an alternative to champagne. We call it SPUMANTE. The name of Franciacorta automatically refers to “Bubbles” or high quality sparkling wines. Today the DOCG is the highest recognition of quality which was sanctioned in 1995 and it covers the Franciacorta wines too. This was a dream come true with the colour of straws with the greenish reflections and hints of gold which are the typical colours of the Franciacorta wines. The production is subject to fermentation in the bottle of at least 18 months. The whole process from havers to to commercialisation takes at least 25 months, in order to guarantee the high quality these bottles. 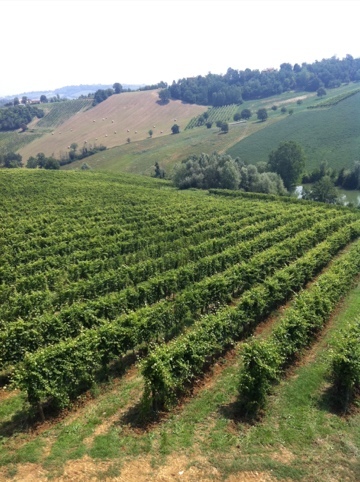 The wine tour of Franciacorta can stretch over an area of about 80 km. It starts from Brescia to Erbusco, which is also the home of the Consortium right in the hearth of the wine area. These medieval towns are located on the hills. In the centre you will find the thirteenth-century parish churches. The beautiful seventeenth and eighteenth centuries villas are all around as witnesses of the aristocratic past. The whole area is very close to the Lake lseo. Here you will find the largest lake island of Italy: Montisola, also known for his intensely flavoured salami. In the kitchen the protagonist is fish. Tench is stuffed and baked, also you will find eel, whitefish and trout in the menus. Olive oil is the extra virgin olive from the Italian Lakes PDO. The landscape is stunning, furthermore Zorzino and Castro should not be missed.